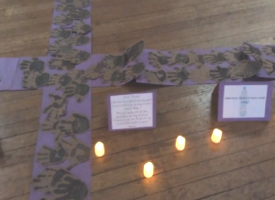 As part of our Lenten experience, the children were asked to create their own interactive Stations of the Cross journey. 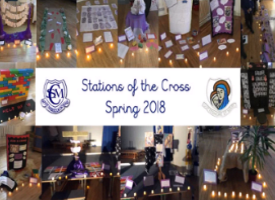 Each of the 14 classes from Reception to Year 6 took a station and were encouraged to be as creative as possible in exploring its significance in the Easter Story. The atmosphere in the hall was one of reflection and respect, awe and wonder. We welcomed local parishioners and our parish priests Canon Colin and Fr Jerry as well as parent’s afterschool. The hall was in darkness, lit by candle light with Taize music quietly playing in the background. It was beautiful to watch the children spending time reflecting and praying with their buddies. 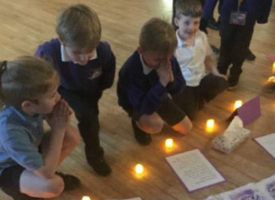 This was a lovely way for us to mark the significance and sacrifice Jesus made and for the children to understand its importance. 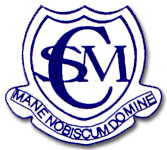 Click on the images to view the media content.